I welcome you into a warm, non-judgemental, professional & safe environment. With over 18 years experience. I offer Counselling & Psychotherapy to Individuals, Couples & Families. Practices in Central Exeter & Honiton. 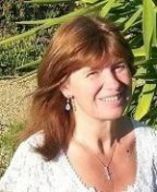 Hello and a very warm welcome, I hope this page will inform you a little about me & what I am able to offer you as your therapist. if you have any questions please feel free to contact me, I am more then willing to have a chat about any aspects of counselling or concerns you may have without any obligation to book an appointment. I also kindly invite you to click on my website where you will find lots more information. I feel very passionate about my work & deeply commit myself to offering you a sincere, caring, confidential & professional space. I aim to understand with true empathy, to listen without judgement, to use my skills to help you find a way forward with whatever problem or situation is causing you concern. I will not give advice, but will help you make your own choices, enabling you to talk freely, without fear of rejection, criticism or blame. I have been very privileged to witness many people make lasting positive changes to their lives & have been fortunate to have spent 13 years at a highly reputable counselling service in Exeter where 90% of our clients were G.P referrals, giving me a wealth of experience. I am lucky to be able to offer flexible appointments including evenings. I work in Exeter on Wednesdays & Honiton all other days.